Uncharted fans wanting to know more about the upcoming Last Legacy content that was teased at this year’s E3 2017 event and will be launched next month on August 22nd, 2017. Will be pleased to know that its developers Naughty Dog have today published a new extended gameplay video on the official PlayStation blog providing a look at the E3 demo for the Uncharted: The Lost Legacy game. The demo picks up after Chloe and Nadine have recovered a critical clue to finding the golden Tusk of Ganesh—an invaluable ancient artifact–and must navigate through the overgrown ruins of the long, lost Hoysala Empire. However, their paths soon cross with Asav, our new antagonist revealed in the E3 story trailer. Asav is a ruthless warmonger that’s also out for the Tusk and will stop at nothing to ensure he gets to it first. Alongside the new gameplay demo, today we also released our latest DLC update to Uncharted 4 Multiplayer and Survival, which will also be included with Uncharted: The Lost Legacy at launch. The update adds two new weapons, three new Survival boosters, over 60 new character skins and vanity items, 13 new taunts, and more. The update also makes Classic Mode a permanent gametype and a new mode for Ranked play: King of the Hill. 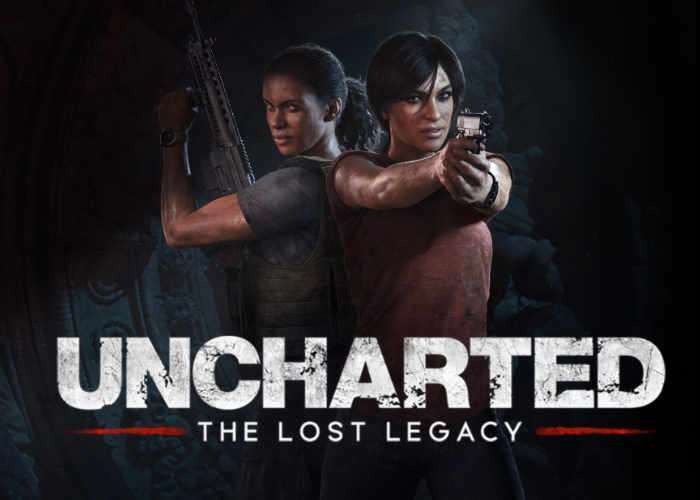 For more information on the new Uncharted: The Lost Legacy DLC jump over to the official Naughty Dog website for details by following the link below.